Researchers have found some children from military families have a higher likelihood of substance abuse, violence, and weapon-carrying. As a clinical psychologist, Ingrid Herrera-Yee is surprised by the findings. As a mother of three, whose husband has served 14 years in the military, she’s also saddened. 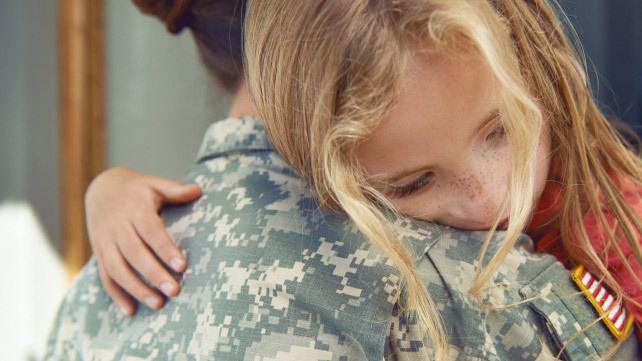 According to an article published today by JAMA Pediatrics, children with parents or caregivers currently serving in the military have a higher prevalence of substance use, violence, harassment, and weapon-carrying than their nonmilitary peers. While most young people whose families are connected to the military demonstrate resilience, war-related stress inducers can contribute to struggles for many of the children, according to researchers. Those stressors include separation from parents due to deployment, frequent relocation, and the worry about future deployments. In the study, researchers looked at data collected in 2013 from secondary schools from every county and almost all school districts in California. Kathrine Sullivan, M.S.W., of the University of Southern California School of Social Work, Los Angeles, and colleagues analyzed the data that included 54,679 military-connected and 634,034 nonmilitary-connected secondary school students from public schools. Students defined as military-connected had a parent or caregiver currently serving in the military. Latino students were the largest percentage of the sample at 51 percent. Overall, almost 8 percent of children reported they had a parent in the military. Researchers said military-connected students reported higher levels of substance use as well as violence, harassment, and weapon-carrying compared with nonmilitary-connected students. For example: 45 percent of military-connected youth reported lifetime alcohol use compared with 39 percent of their nonmilitary-connected peers. Slightly more than 62 percent of military-connected students reported physical violence compared with 51 percent of nonmilitary students. “There’s not enough research on military kids overall, particularly among those with parents who’ve been deployed,” said Herrera-Yee, who is also a military spouse advisor for the military family advisory network in Arlington, Virginia. She’s worked with military families for more than a decade. “It looks like this particular study is finding some issues around alcohol use — which I’ve not seen before — and smoking, violence, and carrying a weapon at school. It’s so very disturbing but very important work,” she said. More initiatives within social contexts, including civilian schools and communities, to support military families during times of war are likely required, according to researchers. Herrera-Yee said while the study makes it sound like kids who are struggling “are struggling in significant ways,” it’s key to remember the findings are based on a specific sample in one state. 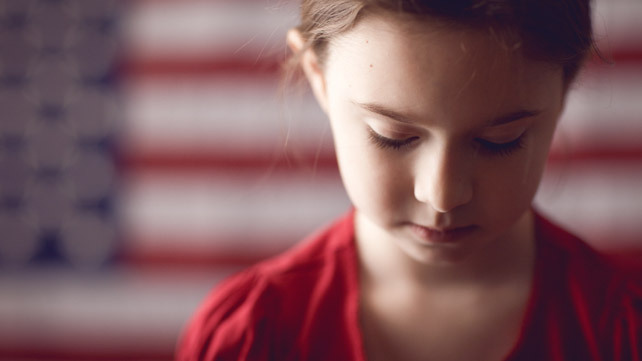 These studies help shine a light on what might be going on with our military kids. “[Still], these studies help shine a light on what might be going on with our military kids,” said Herrera-Yee, whose husband has served in the Army and the National Guard. Herrera-Yee said her children, ages 5, 9, and 14, have handled aspects of military life relatively well, although her oldest seemed somewhat down when her husband, Ian, was deployed. “But we were lucky because we were in a military-affiliated school. All the kids were aware of deployment and what it’s like,” she said. One thing that helped her son was his participation in a lunchtime group at school. There, students talked to each other about missing their parent. “It helped him get through the deployment and served as a buffer. He got better,” Herrera-Yee said. How do military parents overcome the issues raised in the study? It’s not easy on the parent left behind, said Herrera-Yee. “That spouse has to be present, but it’s difficult because, as the remaining spouse, you’re having a hard time, too,” she said. She also suggested keeping in touch with everyone involved in your children’s lives. “The more support a child gets, the less likely they are to use some of these more negative ways of coping,” she said. The authors noted the data they were using was cross sectional and therefore causation cannot be established. Herrera-Yee expanded, saying the researchers basically used a “convenience sample,” which is not representative enough of the total population. The children also were from civilian, rather than Department of Defense schools, where different factors could be at play. Furthermore, only 8 percent were military affiliated children, which is a small percentage, Herrera-Yee added. This shows that more work needs to be done and we need to advocate for more help for our kids. “So there are problems, some weaknesses with that, but it’s still important information to have,” she said. The Department of Defense needs a standard definition of military family resilience in order to build and sustain programs to support families enduring tough times. The Pentagon recognizes this, as well as the fact that in order to have a truly robust family resilience program, there needs to be a common definition as a starting point. The Defense Centers of Excellence for Psychological Health and Traumatic Brain Injury asked RAND Corporation to review studies on family resilience, summarize the literature, and develop a definition that could apply across DoD. RAND is no stranger to research on military families. The research center has dedicated studies to exploring topics such as the need for military-sponsored child care and the role of military spouses. These are are certainly worthy of their own study, but until a report released in July, the family as a unit had been not analyzed in depth. The focus was instead on individual members and how service and all its associated factors impacted caregivers, spouses, and children. Taking a more holistic approach and looking at how the entire family operates and bounces back from stressors offers valuable insight to the already-existing studies. Soldiers with the 3/49 Agribusiness Development Team, South Carolina National Guard, embrace family members after the unit’s departure ceremony at McCrady Training Center, S.C., Jan. 10, 2013. RAND researchers began reviewing literature on family resilience in early 2015, at which point they encountered 26 DoD policies related to family resilience. They also focused on how family resilience is commonly defined and what policies to promote family resilience currently exist. As expected, there was no common answer to either question. The report, released July 10 to the RAND website, includes a thorough analysis of existing family resilience content. Researchers found that definitions of family resilience vary across the services, and there is no officially recognized DoD-wide definition. That there is no standardization in approach or definition makes it incredibly difficult to address this issue. It becomes nearly impossible to accurately measure progress, let alone establish concrete goals, without a common starting point. On the more positive side, the researchers identified several common family resilience factors — resources that families use to cope with stress — in their research on family resilience models. They were grouped into helpful domains, including family belief system, family organizational patterns, family support system, family communication/problem-sharing, and physical and psychological health of individual family members. These factors were noted to have helped civilian families cope with issues such as financial distress, divorce, chronic physical and psychiatric illness, drug addiction or abuse, and exposure to trauma and natural disasters. It should come as no surprise that military families face all of these problems and often simultaneously. Although the types (and, possibly, amount) of stress that military families face may differ from those civilians face, the resources needed to combat them do not. The RAND report presents six recommendations to help guide the development of comprehensive family resilience programming. DoD should designate a governing or oversight body to manage the overall family-resilience enterprise, including definitions, metrics, policies, and programs. The family-resilience enterprise organization should adopt an official DoD definition and model of family resilience. The family-resilience enterprise organization should have a “road map” that follows established programs, policies, and definitions, ensuring that all stakeholders know their role and how they contribute to the success of the overall family-resilience enterprise. The family-resilience enterprise organization should encourage a culture of continuous quality improvement across DoD and within family-resilience programs. DoD should develop a system of coordination between programs to avoid redundancy and to encourage continuous quality improvement . The broader research community should identify what aspects of family resilience matter most for best practices in military family-resilience programs. The recommendation pertaining to a culture of continuous quality improvement is especially encouraging. This recommendation recognizes that the establishment of a family-resilience enterprise will be an ongoing process that will need tweaks and adjustments in order to achieve the best results for service members and their families. Senior Master Sgt. Mary-Dale Amison paints pottery with Lillian Johnson, 20th Reconnaissance Squadron sensor operator, during a Hearts Apart event at the Chartreuse Moose in Warrensburg, Mo., June 17, 2013. From a leadership perspective, what is especially useful from RAND’s research on family resilience is the implication for retention. That military families face high stress in not the issue, but without a clear understanding and resulting support, we cannot expect to retain our service members. Facing back-to-back deployments and constant moves is one thing, but to do so without resources or support leaves little incentive for our service members to reenlist. It’s not clear what Pentagon leadership will do with the findings and recommendations from the RAND report. However, the fact that the department is dedicating resources to investigating this issue is meaningful. Reinvigorating the conversation is helpful in getting people to consider the important issue of supporting not just our service members, but the families who support them every day. Beyond the recommendations, it’s also important to emphasize that words truly matter. The RAND report notes that by first defining the concept of family resilience, DoD can better develop programs to support it and help military families best adapt to the challenges of military life. Basically, you can’t follow through and fully build and support something without having a clear definition of what that thing is. To that end, RAND proposed the following definition of family resilience: “the ability of a family to respond positively to an adverse situation and emerge from the situation feeling strengthened, more resourceful, and more confident than its prior state.” Simple and clear. I can’t think of any better marching orders for this type of programming. Jeff Boss’s four questions will help you determine if your daily work activities are aligned with broader goals or if you’re just trying to stay busy. Working with purpose, whether it is the mental focus or the spiritual passion that guides you, is a powerful thing.Of course, there’s a difference in working with purpose and working with busyness. When you work with purpose, you’re fulfilling your long-term needs; when you work to appear busy, you’re satisfying short-term needs — you know, those superficial behaviors that don’t really improve you or the business. More so, if you’re working without purpose, then chances are others aren’t either, which means there’s a much greater challenge here: a misaligned organization. In these instances, it’s more often physical stress (i.e., emotion) that serves as the guiding purpose rather than personal meaning (i.e., spiritual). 1. How do your actions align with company goals, team goals, and personal goals? If the answer is, “I have no idea,” then try setting goals to make sure they do. Goal setting helps you in two ways: it helps you unearth the values and beliefs that drive you by identifying what’s really important to you; and it focuses your attention on a strategy to fulfill them. Once you identify what’s important to you and a plan to “get there,” you now have a foundation for self-directed motivation. Boom! 2. How do you imagine yourself engaging in activities that realize your goals? If you can’t physically take part in something, use visualization to trick your mind into believing it’s real. When you visualize your actions, feelings, and responses to a potential situation that is yet to occur, you fool your mind into believing it has actually happened so that when that situation arises, your brain just goes through the motions again because it believes it has already been there. And let’s face it; some of our minds are easier to trick than others. 3. How do you focus to achieve your goals? I don’t know about you, but when I see that little white email icon appear on my Outlook menu indicating new email has arrived, I have an immediate impulse to check it (only to find some silly offer from someone that I thought I unsubscribed from). Of all the office distractions that arise out of nowhere, email is the most toxic, which is why focus is so important. Specifically, you want to create cues that compel you to “be” and to “do.” Anything else is just a distraction. If you’re not being the person you want to be, or doing the things you want to do, then what you’re really focusing on is wasted effort. When you do tasks out of habit and fail to question their validity, it’s a clear absence of purpose, or lack of thought behind what you’re doing. Justify why you do the things you do. Put some thought into how much value they bring and decide if they’re worth continuing. 4. What activities don’t contribute to your goals? As mentioned before, impulse control isn’t easy. It takes not only concerted effort but the skill of awareness to be cognizant of it and the will to remedy it. After all, being aware a challenge exists is no good without designing the action to overcome it. To succeed in anything requires a clear purpose, and business is no different. Remember, there’s a difference between activity and achievement. The ability to focus and create consistency of purpose while adapting to change puts you at a competitive advantage. On the occasion of the Fourth of July, we recognize the importance of our country’s roots, history and founding principles and the importance of family in it all. Enjoy this weekend’s celebration responsibly and celebrate in it all. For the past five years, Doug Allred has quietly sent flowers and gift certificates at Christmas to the wives of deployed San Diego SEAL team members. The Del Mar real estate developer, a longtime supporter of the San Dieguito Boys & Girls Clubs, even underwrote some employees’ salaries during a financial crisis, says friend John Lynch. These silent “good deeds” weren’t part of Allred’s vita when a committee of the San Diego Nice Guys organization decided to name him “2015 Nice Guy of the Year” during its gala Oct. 17. But the group, whose 36-year mission has been to give folks a hand up instead of a hand out, looked at numerous examples of the businessman’s commitment of time, money and expertise to help San Diegans improve their lives. Along with the Nice Guy title, the founder of the Doug Allred Co. gets to choose major beneficiaries of the gala fundraiser. As a former Navy Underwater Demolition Team member, he is acutely aware and appreciative of the sacrifices made by Navy families and is designating the SEAL Naval Special Warfare Family Foundation as a beneficiary. And because he lost his wife of 56 years in 2013 to ALS (amyotrophic lateral sclerosis), a devastating neurodegenerative disease, Allred wants to help families of other ALS sufferers struggling to care for loved ones.